The Bridesville Women’s Institute is again sponsoring their annual Christmas Craft Fair to be held at the Rock Creek Pavilion on Saturday, December 1st, from 10am to 3pm, featuring 40 area crafters and vendors. A hot soup lunch, coffee, tea and goodies will be available. Come join us in Rock Creek on Dec 1st for an old-fashioned Country Christmas Craft Fair! The United States of America now has a debt of over 16 trillion dollars. It took the United States government 200 years to accumulate its first trillion of debt. It has taken only 286 days to accumulate the latest trillion. The current trend dictates that this unsustainable folly will continue to increase. The United States will pay 340 billion dollars in interest payments this year. China will receive enough interest payments from it to pay for its entire yearly military budget. Last year the US took in $2.3 trillion in tax revenue, but they spent $2.9 trillion just on entitlement programs like Social Security and Medicare, plus the defense budget. They were $600 billion in the hole before they paid any interest, salary or even a light bill. Some question why Homeland Security and its sister government bureaucracies have now purchased 1.4 billion bullets this year, a lot of them hollow point. Official government responses indicate "that the number may be overstated and that they are for normal daily use and training purposes." Many people believe otherwise and think the bullets are for harshly subduing the population when the massive volatile citizen unrest occurs following the total and complete economic collapse. In 1835 under President Andrew Jackson, the United States reduced their national debt to zero. They owed nothing. Free from obligation. No one had leverage over them. Today, America’s debt lurches towards 16 trillion dollars. It increases by 4 billion dollars a day. A grade seven student could tell you that this is way worse than unhealthy. But the expensively-educated University grads of today --- for the most part --- seem to be just staring and pretending the upcoming wreck won’t really happen. US Government Arming Itself Heavily Against Its Citizens? Department of Homeland Security buys 450 million rounds of .40 caliber hollow point ammunition … after just buying 200 million rounds … waiting for economy to implode and resulting social chaos? … plans to increase the number of unannounced checkpoints manned by TSA VIPR teams and other federal agents beyond the 9300 that were set up last year? That be a funny thing. First they force you to attend the government school and now they say they have to re-educate you. Why didn’t they just do it right the first time? It seems the citizens aren’t complying exactly the way the politicians think they should. I always thought the politicians were suppose to comply to the citizens’ wishes, not the other way around. Re-educating the people! Sounds like something the commies used to say in the old Soviet Union and in that communist China place. Off to the re-education work camps you go! Somethin’ else I was noticing is that governments keep having secret meetings. They call them “in camera” meetings, but there ain’t no camera at all. It is all hush hush and sneaky quiet. And in them they talk about all the really important things that affects folks, like how much theys going to give the workers and special land deals and settlements and stuff. The big things that folks want to know about --- and maybe influence because for sure they have to pay for them --- can’t be attended. I thinks --- since they are called “in camera” meetings --- the whole secret gathering should be on video and then put on that Utube thingie for all to see. Ha! Betcha the meetings would all be done different like then. I doesn’t like it when governments does things in secret. Makes me not trust them. Gets me all suspicious like. Lots of talk about a dam in these parts lately. 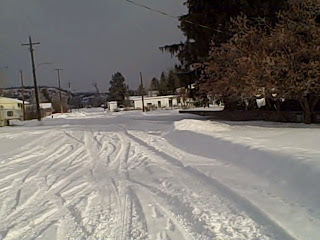 I remember way back when my pappy wanted to keep the water from all going down the mountain. He gots himself some beavers and they figgered the whole thing out by themselves in no time! Smart little critters! Built good dams that didn’t break too and they did all the repairs themselves. Ha! Didn’t need no pesky government engineers coming around making a big fuss. Last time there was a beaver around here that I knows about, the government destroyed their dam. Twice! The liability demons was chasing after them. Then I think someone shot the little beaver fellow. Some people didn’t like the change he made very much and so they snuffed him out. Lots of Assads around here too, I reckon. The BBC World Service is 80 years old today. A 12-year-old Florida girl, Anastasia Megan, was more than academically qualified to study at a two-year community college. However, college administrators denied her. After two years of resistance, the college finally relented. But now the 14-year old is going to Queens University in Ontario instead. 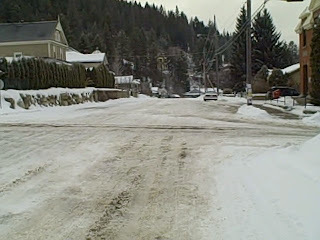 The 2011 Canadian Census results show a 5-year population increase in Greenwood from 625 to 708 and in Midway from 621 to 674. Area E, however, plunged from 2,234 to 1,970, an 11.8% loss of 264 people. Grand Forks dropped from 4,036 to 3,985. Five elected officials and two office staff sat at the council table. There were two observers. The partakers started their day early, when minds are fresh, and met for the meeting at 9am. The council make-up is now to the male side after years of being mostly female. There was a noticeable atmosphere of politeness. For example, the meeting participants instantly yielded to each other if there was a conflict in speaking space. There was no prayer to open or close the meeting. The other day I was chatting with someone in Greenwood City and I found out something interesting. Back in the 1950s there were 1,000 souls, or more, living in the big place. Today the number is only in the 600s. Back in the 1950s, that nice City Hall building had a total of two people working in the office, the City manager and one other. On top of all the City work they did, those two had to be the Gold Commissioner for the district all around too. And they also had to be the Mine Recording Office during a time when there was lots and lots of mining. Back then, they had to carefully manage all their financial books with paper, pencils, erasers and them there adding machines. They didn’t have any of those fancy ‘puters around. Today, even though most of the population up and went someplace else, they gots five people working away in that same office. Yeehaw, that be an odd thing methinks. A real puzzler! And they don’t do the all books with no pencils and paper no more. Nope. Now they got an expensive $10,000 ‘puter ‘counting program to use. I hear tell it comes with a $1,000 a year support program or some such thing. In fact, that office now gots ‘puters all over the place. I reckon that’s to help the workers do all their extra work easier. Just seems funny that they need five people now to service 600 or so citizens, when way back then they just needed two folks to help a 1,000 people. Must be a busier world or somethin’. Or maybe it’s that new math and those complicated financial instrument thingys that they teach in school nowadays that just make everything harder. In my corner of the woods, though, thank goodness, one plus one still equals two. 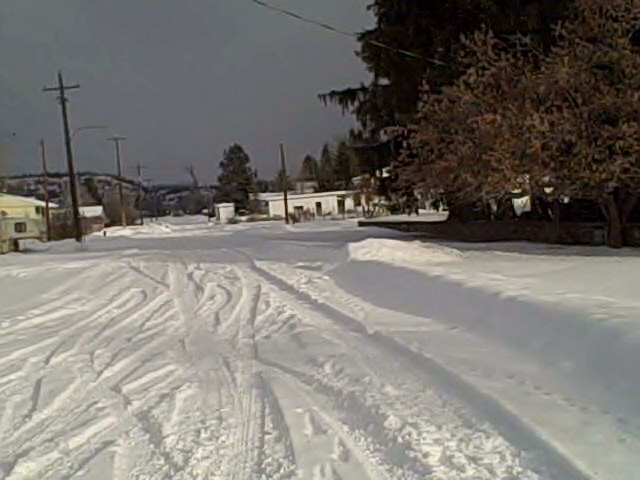 South Government Ave one day after snow fall ... plowed very wide and quick ... government and business people nearby. 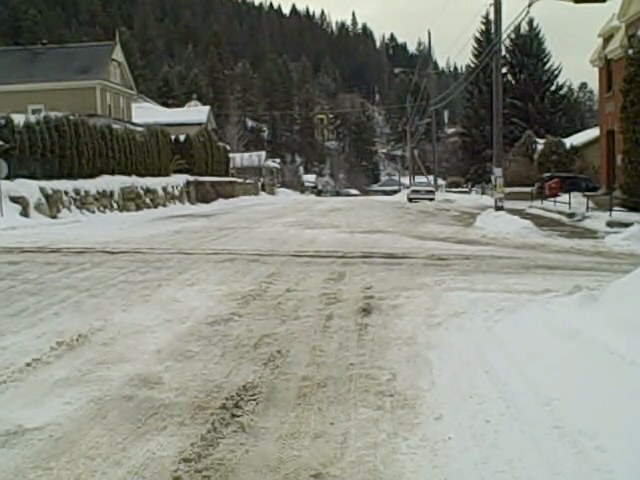 North Government Avenue seven days after snowfall ... who? where? In Iran, for example, Christian Pastor Youcef Nadarkhani has been on death row for refusing to renounce his faith. In Pakistan, Asia Bibi, a Christian woman, is still facing the death penalty for allegedly insulting the prophet Mohammed. ... Navy Seals crept up to an outdoor camp where an American woman and Danish man were being held hostage. Statistics show that 40 percent of all pregnancies in New York City end in abortion. In British Columbia there is strong government censorship on the number of abortions executed. One can try to extrapolate from what numbers are available and an annual number of 20,000 would not be unfair. The US Supreme Court ruled unanimously Monday that police must obtain a search warrant before using a GPS device to track criminal suspects. Bell Mobility charges a late payment charge of 3% a month for overdue bills, or 42.58% a year. Who needs the mafia when we have corporate citizens like this? The Treasury on Tuesday started dipping into federal pension funds in order to give the Obama administration more credit to pay government bills. 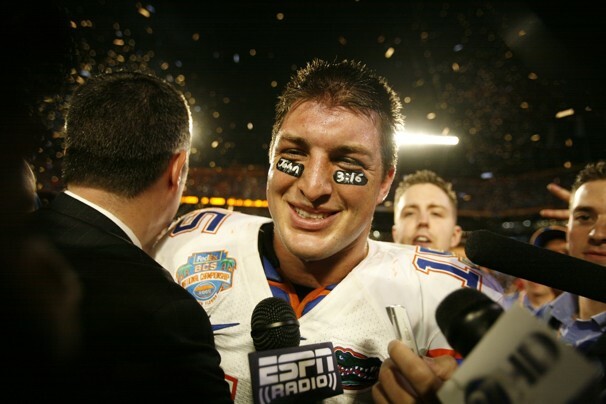 Tim Tebow had the Biblical verse “John 3:16” in his eye-black under his football helmet. The football people wanted it removed. In the amazing Wild-Card game on Sunday, Tebow threw for exactly 316 yards, averaging 31.6 yards per completion with a television rating of 31.6. The football people can erase the eye-black but they can’t erase the stats. They are entrenched facts. On Christmas Eve, the grandson, now 75, received his grandmother's ring in the mail. Planned Parenthood received nearly a half-billion dollars from the US government. The group reports it has net assets of slightly more than $1 billion. The intruder pounded her door. The intruder broke in. The young woman was afraid. She fired her gun. No more intruder. December saw record-breaking numbers for gun sales. Gun dealers requested more than 1.5 million background checks from the Criminal Background Check System. Nearly 500,000 of those took place in the six days before Christmas and an astounding 102,222 background checks were administered on December 23 alone.